Apply For a Credit Card, Learn About Our Credit Union Credit Card! Check out our infographic on the credit card habits of San Diegans. 0% Introductory APR for 12 months on purchases and balance transfers posted within the first 90 days of a NEW Mission Fed Platinum or Preferred Platinum Mastercard® Credit Card Account opening. Great Mastercard benefits such as Zero Liability, Price Protection and Extended Warranty. Easy and secure payments using Apple Pay, Samsung Pay and Google Pay. Apply for a Credit Union Credit Card and take advantage of low rates and great benefits. Take a look at these other benefits for our Credit Union Credit Cards. Those are just some of the great benefits available to our members who are approved for one of our Mission Fed Credit Cards. With a choice of Platinum and Classic Credit Cards, we’ll help you get the San Diego Credit Card that best fits your needs. Both cards offer low, competitive rates and great benefits, such as Zero Liability, Price Protection, Travel Accident Insurance, Extended Warranty, Year-end Summary Statements, Master Rental Insurance, Priceless Cities, Global Emergency Services and more. Our Platinum Credit Card rates start with low introductory rates with no annual fee. They also come with all the advantages a Platinum Mastercard has to offer, making them great Credit Cards for San Diegans ready to start building a better financial future. And, you can use the card anywhere Mastercard is accepted around the world. So, why wait? 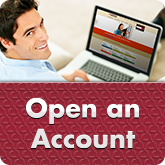 Compare our Credit Union Credit Cards and apply now! I have been trying to build my credit for a long time, but nobody would give me a chance to start. Then I got a phone call from a lovely representative who helped me through the process of getting my first Credit Card! Thank you for helping me take the next step in building my life!-Melanie S.
Credit cards provide a short-term loan from a credit card issuer. 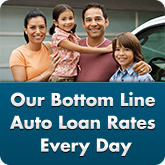 You pay back the money you borrowed, plus interest based on your Annual Percentage Rate (APR), over a period of time. Each credit card has a credit limit and you can spend up to that limit. You’ll be expected to pay a minimum balance each month, which is usually just the interest plus a very small percentage of your total balance. If you pay your statement balance in full each month, you’ll help improve your credit score and you can avoid paying interest. Depending on the card, you may also be charged annual maintenance fees, balance transfer fees (for transferring your balance from another credit card), cash advance fees or late payment fees, all of which are added to your balance. Applying for a credit card is relatively easy. You’ll provide basic information (which can vary slightly depending on the card) like your social security number, driver license number, income, address, phone number and more. This information is used to check your credit score, credit history, debt ratio and payment history. If you’re approved, you’ll be granted a card with an APR and credit limit that reflects your credit history. Make sure you only apply for credit cards that work for you. Mission Fed makes it easy to apply for credit union credit cards. Whether you want to make an appointment and apply in person at a branch, apply over the phone or choose to apply for your credit union credit cards online, we want you to be able to apply in the way that makes sense for your needs. Just gather the information listed above and apply for your San Diego credit card in whichever way is most convenient for you. You certainly can! 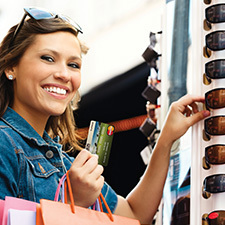 Many credit cards offer cash back rewards, which help you earn cash on the purchases you make. Be aware that you might need to enroll in the cash back program to enjoy the rewards. Enrolling your eligible Credit Card in Mission Fed’s Mission Rewards program allows you to earn one point for every dollar you spend on your eligible purchases. Then, you can redeem your points for cash back or other reward options easily and securely online and via Mission Fed’s Mobile Banking ap. There are three basic steps when it comes to calculating credit card interest. Look at your APR and convert it to a daily rate by dividing by 365, which will give you the daily periodic interest rate. Figure out your average daily balance by adding up the daily balance for each day in the billing period, then dividing by the number of days in the billing period. If you need to determine other credit calculations, like how long it’ll take you to pay off your credit card and more, try one of Mission Fed’s Credit Union Credit Card Calculators. We surveyed 400 San Diegans on their credit card habits and discovered some eye-opening information. Survey results indicated that nearly 24% of participants are anxious about their credit card debt to the point of worry, stress or loss of sleep. Read our other key survey findings in our infographic and full-length study, and discover how Mission Fed can help customers reduce financial stress and meet their credit needs. 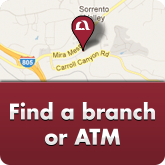 Why choose Mission Federal Credit Union for a San Diego Credit Card? You could get a credit card from a traditional bank or credit company, but our credit union Credit Cards offer fantastic local benefits and personalized service. Mission Fed offers credit union Credit Cards with low rates, low fees and reward options when you enroll in Mission Rewards. So how can you get started and apply for one of our San Diego Credit Cards? We make it easy to apply for a Credit Card. If you prefer individualized customer service, you can apply for your Credit Card in the branch with the help of a knowledgeable representative. If you prefer to apply on your own schedule or from the comfort of your home, you can call 800.500.6328 to speak with a representative, or you can apply for credit union Credit Cards online at your convenience. Find out more below about applying for your San Diego Credit Card and how to enroll for Credit Card rewards today. Discover all the benefits of Mission Fed Credit Cards. Learn More About Credit Cards with These Great Blog Posts! 5 tips you can learn from your first credit card: Your first San Diego credit card can help you in emergencies, help you build a positive credit history, improve your credit score and help you get future lines of credit. 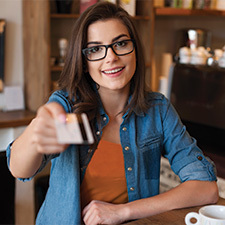 Learn more about what Mission Federal Credit Union Credit Cards can do for you, how often to apply for a credit card and how following these five tips can help you use credit wisely. Start building credit with a Mission Fed Credit Card. Make an action plan to pay off your credit cards—here’s how! Credit union credit cards can make a big difference in your financial life, but you should be prepared to pay off your credit card bills in a timely manner. Before you apply for a credit card, make a plan to set aside money for your credit card payments. Whether you use your Mission Federal Credit Union Credit Cards for shopping, bills or only emergencies, you can enjoy the benefits of Mission Rewards. Your monthly budget should account for paying off your credit card bill quickly. Find out how! What you should know before deciding which Credit Card is for you: So many credit cards are on the market, but Mission Fed VP Card Services and ATM Management provides a list of things to consider when selecting the credit card that’s right for you. Don’t forget to consider your friendly Mission Federal Credit Union, where your success is our bottom line. 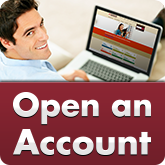 Apply for a Mission Fed Credit Card online today! How to cultivate a good credit score: Having a credit union credit card means you may not have to deal with high interest rates or hidden annual fees, but that doesn’t mean you should relax about missing a payment. Paying your bills on time is one way to cultivate a good credit score, which you need when applying for other loans. Read more to find out four other steps you can take to help increase your credit score. Three cheers for Chip Cards (and five reasons they’re great! ): Mission Fed now offers Chip Cards to our members. What are the benefits and security measures associated with an EMV credit card? 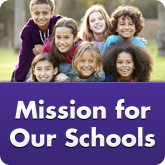 Find out by reading this blog and learn more about the new Mission Fed Chip Credit Cards!